Vero Beach gym employee charged with lewd or lascivious molestation. VERO BEACH – On July 7th, 2017, detectives with the Indian River County Sheriff’s Office learned that a day earlier, an 11-year-old child attending summer camp at the Jungle Club Sport Complex in Vero Beach disclosed that they were touched inappropriately by a maintenance worker. 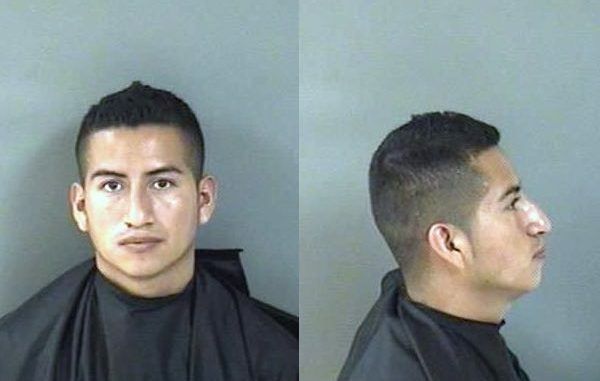 The child stated that while attempting to retrieve swim goggles and wearing a swimsuit, Erick Bello (27) of Vero Beach, committed a lewd or lascivious molestation while the two were alone inside of a room. Bello initially told detectives that he was never alone with the child, later changing his story saying that he was alone with the child but denied touching them. On Monday, July 10, 2017, detectives arrested Bello and charged him with lewd or lascivious molestation on a child under 12 by a perpetrator 18 or over. A search warrant was also served at the Jungle Club. Bello is currently being held on $10,000.00 bond at the Indian River County Jail. Detectives have since learned that Bello is non-U.S. citizen who was illegally using another person’s social security number for employment purposes. “Our detectives are hoping that there are no other victims of this child predator. We are sharing his photo, knowing that in reality there are likely other victims. Anyone with information pertaining to Bello’s activities should come forward immediately,” Indian River County Sheriff Deryl Loar said. If you have any information on this crime or any other crimes related to Bello in Vero Beach, please contact Detective Jeremy Shepard at 772-978-6120. You can remain anonymous and possibly be eligible for a reward of up to $3,000.00 by contacting Treasure Coast Crime Stoppers at 1-800-273-TIPS (8477) or tcwatch.org.